On January 30, Prime Minister Justin Trudeau announced the Government of Canada will officially recognize the United Nations International Decade for People of African Descent, which began in 2015 and runs until 2024. The objective of this recognition period is to highlight and celebrate the contributions people of African descent have made to Canada. But, what does that actually mean for black Canadians? In some respects, additional data is needed, but the collecting of more data will not necessarily produce new ways of thinking about historic problems, like anti-black racism. Overall, Trudeau’s remarks were lackluster, peppered with symbolism to validate Canada’s selected brand of nationalism without explicitly delineating a strategic plan or any course of concrete action. I do not expect that he or his government would have been able to release a 10-point plan, but to make an address without any definitive next steps is futile in the fight against anti-black racism. His speech, the topic and the timing (two days before Black History Month, and three years late,) appear contrived and symptomatic of marketed multiculturalism. 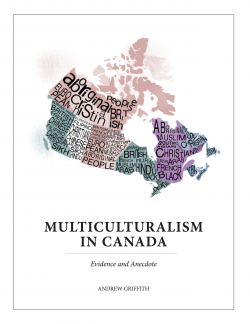 Marketed multiculturalism occurs when racial and cultural diversity are used by social, political and economic discourses to validate state sponsored messages, amplified by news media, that Canada is a post-racial multicultural society. This marketed myth preserves the status quo, tokenizes racialized people and obfuscates the existence of racism and anti-black racism in this nation. Within the marketed multicultural framework, when an acknowledgement of racism is made by institutions responsible for the systemic oppression of racialized people, the surreptitious ways in which racism operates become more nuanced. The prime minister’s announcement was a representation of this phenomenon. The particulars of his speech reinforced multiculturalism in Canada more than they declared a commitment to combatting anti-black racism. While the two are not mutually exclusive, in order for either to be fully realized the commitment has to be more than just promised. For multiculturalism to be legitimately realized in Canada, the policy needs to go beyond the page. Acknowledgements need to be met with action. Cultural inclusion, equity and other principles upon which authentic multicultural ideology is premised must not conflate performance with progress. The absence of this distinction makes Canada a hostile homeland for black Canadians, Indigenous people, racialized immigrants and other people of colour. As politicians make (more) policy, they both have a propensity to succumb to the effects of marketed multiculturalism, where acknowledgement and accountability are systemically destined to never meet within the status quo. While accountability is not impossible, it does require all Canadians to interrupt the political performance, forgo the politeness and promote political progress for racialized people in Canada.